I don’t have very clear what UI library should I use for PassPill project yet. I have created projects using React and Preact successfully and after having a look at Inferno, I really wanted to give it a try. Its source code is really easy to read and understand, and even if it’s not as lightweight as Preact, Inferno is still a feather weight library and they say that it’s really fast too. So I have installed Inferno into PassPill and adapted the app to make it work. It wasn’t much effort, but I stumbled upon the same problem that with Preact: react-hot-loader (RHL) is not working with them. We can still use webpack dev server with hot reloading, but I am already used to the way RHL updates just the changed components on the fly, preserving their state, and an automatic full reload of the app feels like a pain now. The goal is having one app, one single source code, and 3 webpack setups and they should work exactly the same. To do so, we need Preact and Inferno’s compatibility layers, so they are in the game too. Make RHL work for Preact or Inferno is still a work in progress, (we were lucky enough to get the attention of the libraries’ mantainers, and it will be ready really soon), but some facts came out from the tests that I wanted to share in this quick comparison. Before starting the comparison, we need an common environment where all the three libraries can run. Our target is make RHL work for all of them, so the first thing to do is to configure our app to use it. The fact of having a common configuration is great, they are not just sharing the same API, but also the development tools! It’s really nice to know that in case that we wanted to switch libraries in the middle of the development process, we wouldn’t have much problems. We can see that there are 2 plugins related to hot reloading in our setup. 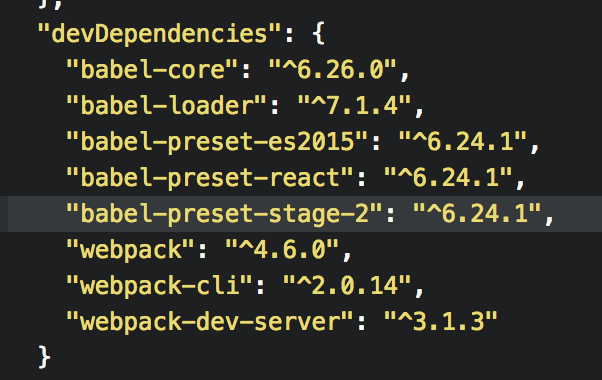 One plugin for webpack and other for babel. Webpack’s HotModuleReplacementPlugin will send a signal to our app when we update any source file, and the app is reloaded automatically. That’s working for react, preact and inferno. 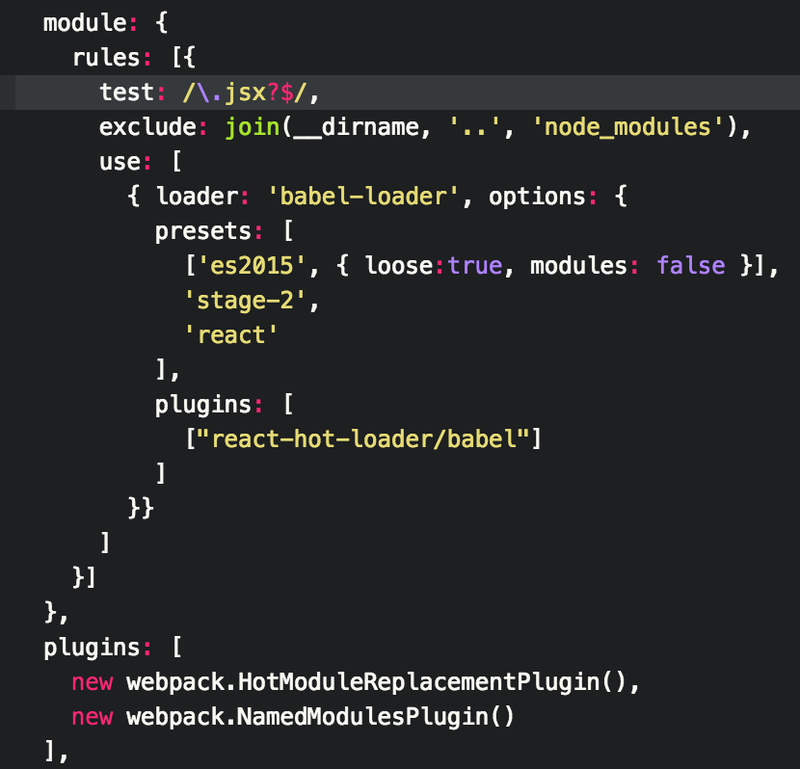 Babel’s react-hot-loader/babel plugin is the one provided by RHL. When we change any source file, it creates a special bundle update that is understood by the RHL component in our app. That update replaces only the changed parts, without a full reload, preserving application and component’s state. This “magic” way of refreshing our components only work with React. Preact and inferno will ignore the changes if we use it. You can see more about this in the library comparison below. And using hot to wrap the root component, see the App.js file. 2.76MB for this tiny tiny application is a lot, specially when our app source code before compilation is smaller than 1KB! Most of that weight is due to the development tools and when running webpack in production mode it will be gone. Let’s see how big is the bundle if we compile the code for production. We can see the production configuration file if we want to know the details on how. That’s better. In production mode the React app reduces its size more than a 95%. The bundle source map is only loaded when we open browser’s dev tools, so our app’s users won’t get that hit either. 1MB less than React it’s a huge difference, but we need to keep in mind that React in development mode contains a lot of tools for debugging and comments that help developers to control what’s going on at any circumstance. I love to have a look at the internals of the libraries. I am not especially a tidy programmer, but I like to see how people organize their code and what I can learn (steal) from them. Inferno source code is beautiful and it’s easy to understand, something hard to achieve when building a complex library like this one. That’s a plus for me, because I like to know what’s happening when something just doesn’t work. So many dependencies to install for the sake of modularity, but I bet you will need all of them if you are migrating from a living React application. Hey, React is not really React, it’s Inferno! We can’t use react-hot-loader with Inferno yet, but we can use webpack’s hot module replacement, the same way we saw with Preact. This was just a quick bundle comparison, if we want to dig on what’s making our bundle that big there are many webpack tools that can help us. Have a look at this article by Jannik Hell. This article is part of the PassPill Project that wants to share the whole development of a web app. As part of the project we will be testing different libraries to discover what’s the one that better adapts to our needs. The PassPill series is about sharing the complete development of a software project.